People often criticise EA's sports games for only showing the most minimal of changes from one game to the next. And okay, that may well be true. But at least with EA's games, the basis is strong enough that, even if you do think that each new FIFA game is little more than a roster update, you're still getting a good game. And therefore it's worth buying for fans of the sport. Related reading: Matt's review of last year's Handball '16. But Handball 17 was in no such position to be complacent. 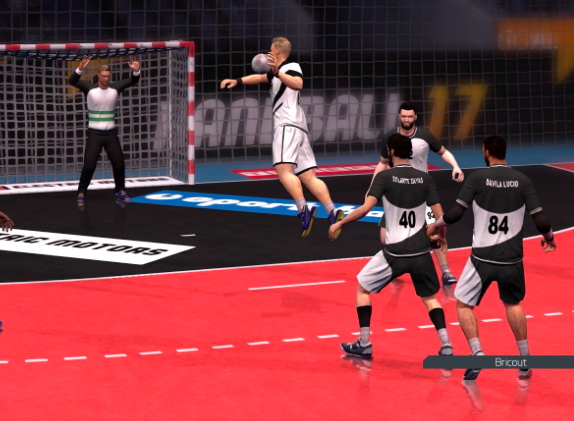 Last year's Handball 16 was an unmitigated disaster of a game, and this new game needed a whole lot of work for it to be even remotely acceptable as a recreation of the great sport of handball. Sadly, the developers seem to have been inspired by EA, and have achieved little in improving the games glaring faults. Most of the time it seems like the only update to this was the player roster. If anything, Eko Studio has gone backwards with Handball 17 by filling the game with the most ridiculous bugs, where its predecessor was a reasonably clean game, for all its other faults. I love handball, and I'm probably the only Australian who can say that. It's a sport most popular in Europe and the Middle East, but if you haven't watched a game of handball before, make sure you do so; it is a fast, highly athletic, and incredibly exciting sport. Think of basketball crossed with soccer and you're basically there. Each side has seven players on the court and they look to hoist a ball into a small goal by throwing it, without stepping inside a semicircle 'goal area' on each side of the field. While the players can't step inside the semicircle, they are able to leap inside and throw the ball before they land. And this is the exciting moment of handball, when a player leaps, and in full flight times the throw of the ball so that he or she can toss it with maximum power, and as close to the goal as possible. The leaping and athleticism on display makes for one incredible spectator experience. On a fundamental level, handball itself is an awful lot of fun to play, as difficult as that is to do in Australia. And that's why it's so frustrating that Handball 17 can't even get that right. I can appreciate the physics of handball are actually quite challenging, because the players tend to be more flexible than in other sports, while at the same time being quite aggressive in using their bodies to block shots. I can appreciate that the way players release the ball, often at over 100 km/h, can be difficult to model properly. I can appreciate all this, but if you're going to make a game about handball, then it needs to look and feel like handball, and the rigidity of players and the 'blockiness' of movement makes for stilted, ponderous gameplay about a game that is fluid and fast. Even more unforgivably, this game is just filled with weird physics bugs, which might be a result of the 'new gameplay' engine the game's blurb promises; but given the game plays with the same clunkiness as the last one, I don't think the tradeoff is reasonable at all. My players would frequently glitch-drop the ball in the middle of a play which would result in the other side getting the ball, even if there are no players anywhere nearby. At one point I gave up on trying to block the ball from an opponent's shot, because even when I did, my players would never respond to pick it up and the opponent would get the ball again. And, while the shooting side of the gameplay works, it's nowhere near as exciting as it should be, as the pace of the game is quite sedate on-screen. Handball is a sport where it can be difficult to actually see the ball if a good player tosses it. Half the time with this one, the players might as well be playing lawn bowls. 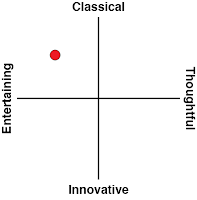 The atmosphere of the game is not helped by a generic commentator who runs out of things to say in the span of a single match, and a complete absence of an audience to help set the scene. The gameplay modes are almost a carbon copy of last year's edition of the game. There's the barest bones career mode you can imagine, and a season mode that allows you to play every team's match through a season, though the lack of team management, transfers, and so on, makes this mode an almighty grind. There's a single-match option, which amusingly enough is the better way to play, as you won't feel like you you need to grind out match after match. Finally there's an online mode. You better hope you've got friends with their own copies of the game though, as I've never found a random online game of Handball, in either the '16 or this year's edition. No surprises there, really. 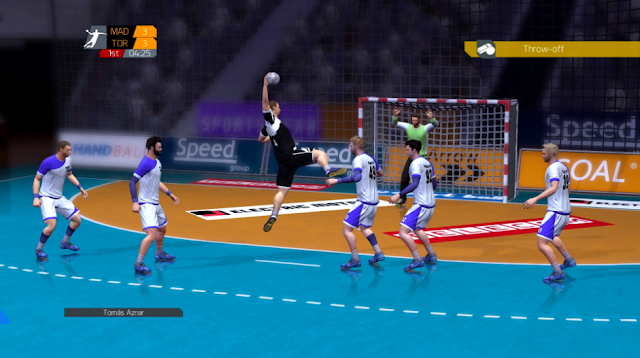 Putting aside the near-game-breaking bugs, Handball 17 does look better than last year's edition. That might be because the developer hasn't released PlayStation 3 and Vita 'last generation' versions, or it might just be the new engine, but this time around you're at least able to make out faces and some basic features on those faces. When creating your player, you have more options to customise him. Not many (and there's no woman's game; shame, Eko Studio, shame! ), but there are more player customisation options. The interface also gets a facelift and doesn't look like a high school project anymore. 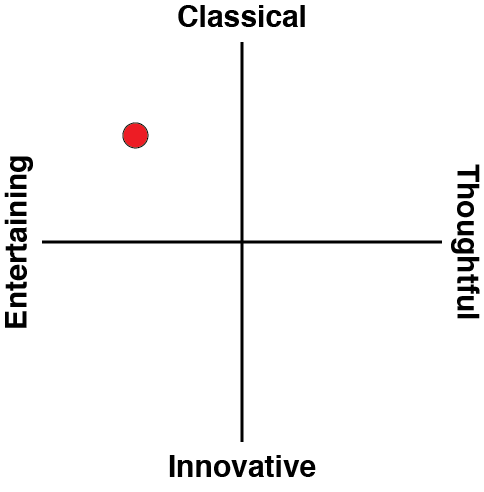 This is faint praise, I know, but it really is about all I've got here. It's painful, because I truly, dearly love handball. I would give just about anything to have a good handball game to play, because let's face it, in Australia I'm never going to be able to play the real thing with any regularity. I don't think limited budgets or a small development team explain Handball 17 - there are other small developers doing amazing things in sports with small budgets and teams. Handball 17's problem is that the developers might be fans of the sport, but they haven't got a clue how to do the sport justice as a game. Last year I was willing to give the franchise a chance, hoping against hope that, it being the first game, future editions would be better. I am under no such illusions this time around.